Grim Facade: Sinister Obsession is for all those who love investogation and mystery that keep you intrigued till the end of the game. You are to uncover some facts about a family in Italy and find out who is responsible for murders. There are two different kinds of hidden object levels. A maid of a wealthy family in Italy has found a diary that describes the murders of three different women. It is your responsibility to solve this case and get to the truth using all the clues available to you. You are going to learn a lot abou the family and see if there are some connections. The story is presented through colorful and detailed graphics. The voice overs are quite professional. The soundtrack is not annoying, so there is no need to turn off the sound as many often do. 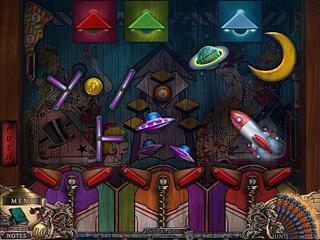 The game features three modes of gameplay according to the level of difficulty you want. But a good thing is that you can change them along the way and see if you like one better over the other. 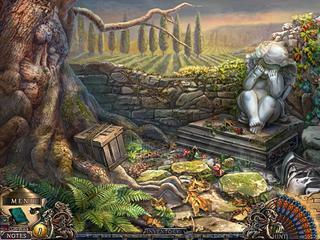 There are two different kinds of hidden object levels. You either collect a number of items of the same kind or find them according to the shape. There is an interactive part there too. The hints are presented with peacock feathers that you find in the scenes. The mini-games are quite entertaining, but not too challenging. The game has many things for you to do as you get to the end of the story. You might need to check the trial version first but I'm sure many will like this game. This is Grim Facade: Sinister Obsession review. Download this game here.